It was the gathering of universities in West Africa last weeks of October. They all came with a mission to win the game and lift the trophy. 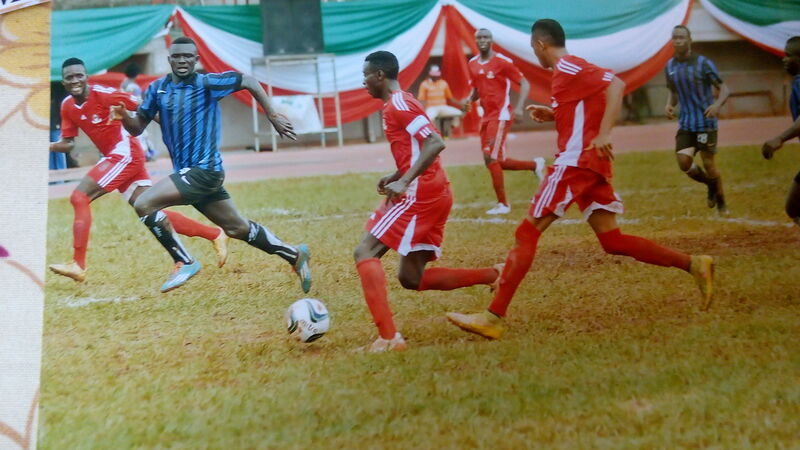 But the Enugu State University of Science and Technology (ESUT) Team defeated other universities and lifted the trophy – Male Football Gold Trophy. In this interview BROJID.COM EDITOR, JOSEPH DINWOKE, the ESUT team captain, Nwankwo Silas, shared their secrets of success in the games; how he balances his football with his academics and the woman in her life. Sit back for this interesting read. My name is Nwankwo Salis Chinweike, Industrial Physics final year, Enugu State University of Science and Technology, ESUT. You came to school to study industrial physics. How come you got s involved in sports to the extent of becoming a team leader – captain? Let me tell you the truth. I didn’t move to football in school. I started playing football when I was a kid. It’s a hubby; a passion. In fact football is everything I want to do. But getting the certificate is also very good. So, in reality, I didn’t move from industrial physics to football, I moved from football to industrial physics. From the little I know about football, the team captain is essentially a leader. What qualified you to be your team leader? I stay off campus and there is a team outside campus I lead as the captain. So, they recognized my leadership role in the team. That’s how I became the team leader. It doesn’t mean am the best that lead the team; it just came to me and I took it. Like you said, you left football to go the school, when you came to school; you know you have to graduate with good grades. How have you been balancing your passion in football with the necessity of acquiring education? When education came calling, I took it as number one priority. I left football so that I get my degree. I go to school in the morning and in the evening after the lecture, I practice. Please be more specific. What are the practical steps you took to ensure you give your academic adequate attention without your football suffering? When you want to bring these two things together, one has go lower for another one to come up. You are not going to leave it entirely. Before I started training with this team, I do my personal training in the house to keep myself fit and prepare for anytime I want to play football. But my studies are everything I actually do at this particular time. I don’t go under coach tutors. When you do that they would want you to give all you have to be the best. But I was born a footballer. I told you I started playing when I was a kid. I actually have this talent inside of me. I just needed to polish it. It’s generally believed that people who are into sports or entertainment are usually into women. And many times, people attribute failure of footballers in woman. Silas, what’s your own case? It’s kinda truth, you know. But it depends on you to actually make that woman be the reason why you are failing. I am into a three year old relationship now. When it comes to women, I don’t really get freaked about them. Women are not the reason why you should fail. There is a saying that behind very successful man, there is a strong woman beside her. So, why would someone say that a woman is the he is failing in football or career? She actually graduated two years before me. Right now, I am lifting a trophy. This is the second trophy in a year for my school. I did that first at the South East University Games we actually defeated Nsukka(UNN) in the finals. That’s why when the fixtures came out, they were afraid of us. What are practical steps you took to ensure that you were not distracted by your woman? Why I said it’s not a distraction is that if your get the right woman or girl, she will understand that you have something. I mean, I am very young! She should understand that I have a goal and she be ready to work with me. Before I go for matches, she calls to tell me “Baby I wish you luck”. But some other girls will be calling, “I am missing you” It depend s on the girls and the kind of relationship you are getting into. Some of your team members are your peers. Some of them may even be older than you. So, how do you play your leadership role among them? One of the things that have been working for me is that I don’t even need to get angry. Because getting angry is one of the worst qualities you should have as a leader. Most of them are even older are even older than I am. But they actually help in making my leadership very Ok for me because they understood and are ready to be led. God is everything. We took God first. Without God, we won’t get anywhere. We even go to church before and after our games, everyday. God and my coach have been very helpful in making this leadership easy for me. 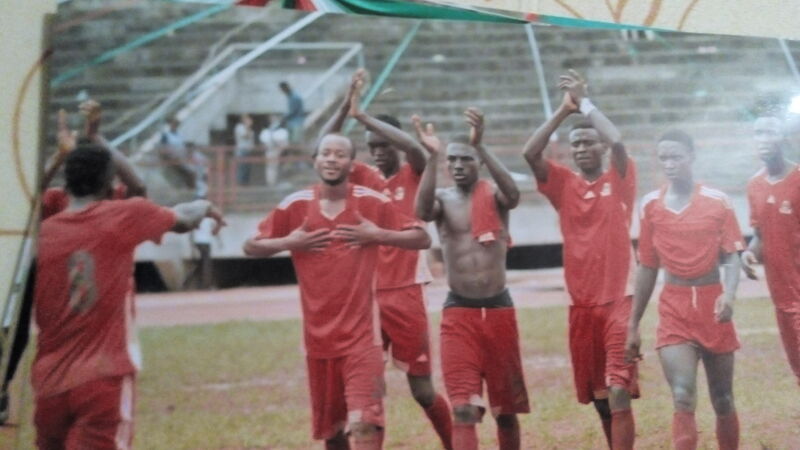 I saw energy and resilience on the pitch on Friday, during the semi final when you played with Team UNN. Why did you people go about it that way? Wetin you chop? ESUT and UNN is like Manchester United and Man City. It’s a deby. We are rivals. This is the third time we are playing in a year and they have never won any. So, coming to play them on their own ground; we know we will be playing against their won fans, we will be playing against the referee what we need is to keep going until we win. That’s just the pep talk we heard from our coach. We didnt take anything. Nobody took anything because it’s against my coach doctrine. If he knows, you won’t even make it to the team. He is like a father and a pastor to us. He is the one that actually gave us that strength. He didn’t sit down until the game finished. He will call me as say, Silas, “If you don’t win, you will get problem with me o’ If he said that me, why won’t others work hard? 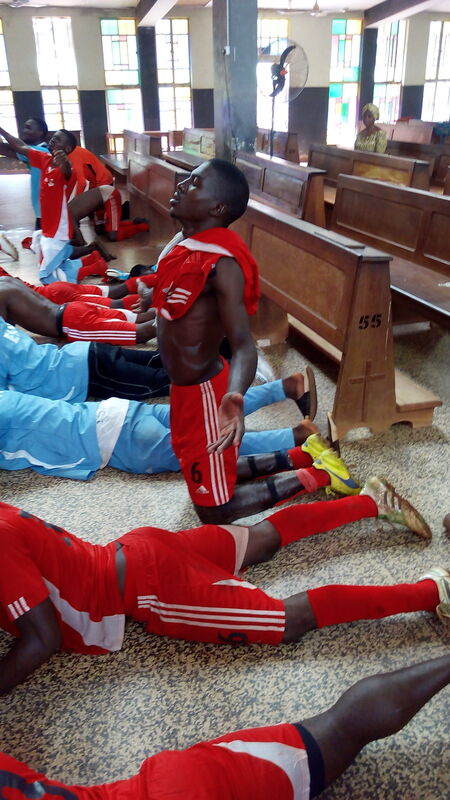 I noticed that during the penalty on the semi final day, your team members were kneeling down and even your goal keeper prayed on the ball. What’s the role of prayer in your victory? God is everything. We took God first. Without God, we won’t get anywhere. We even go to church before and after our games, everyday. So, it was God all the way. All glory to him.